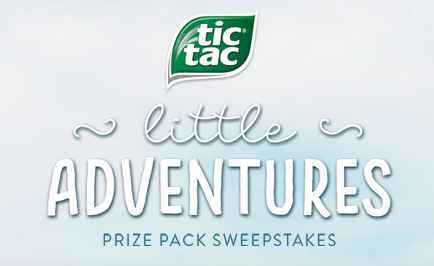 Enter the Tic Tac Little Adventures Prize Pack Sweepstakes every week at tictaclittleadventures.com for your chance to win $350 worth gift card, Mints, waterproof beach blanket, 2 Travel Mugs and One car mount cellphone holder. How To Enter: Visit this link: tictaclittleadventures.com during the sweepstakes period and follow the online instructions to register by entering all information requested on the registration form and once you filled out the entry form now Click on the submit button to complete the registration form. Prizes: One lucky winner could win a Tic Tac Little Adventures Prize Pack consists of (i) a $350 gift card (ii) 12 packs/1 box of Tic Tac mints (Orange flavor) and 12 packs/1 box of Tic Tac® mints (Freshmints flavor), (iii) one marine ultra backpack cooler, (iv) two 30oz. tumblers, (v) one large beach blanket, and (vi) one car mount cellphone holder every week. 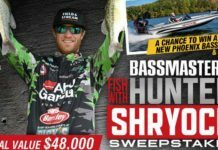 Total ARV of all Prize is $500. 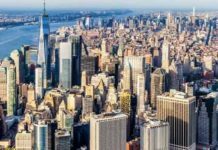 When To Enter: The Tic Tac Little Adventures Prize Pack Sweepstakes entry begins at 12:00:00 a.m. Eastern Time (“ET”) on July 2, 2018 and ends at 11:59:59 p.m. ET on August 26, 2018. Who’s Sponsor: The Sweepstakes is sponsored by Ferrero U.S.A., Inc., 7 Sylvan Way, 4th Floor, Parsippany, NJ 07054.